Sage Business Cloud Enterprise Management is a global solution that offers midsized distributors and manufacturers an ERP that supports operations spread across many companies and locations. Work for Sage Business Cloud Enterprise Management? Sage X3 is great for multi-company, multi-site, multi-currency, multi-language, multi-legislation implementations. It is fully web-based, and system performance is generally quite good. It has very good intercompany transaction capabilities, and handles the "behind the scenes" multi-currency bookkeeping extremely well. While the built-in financial reporting is very limited, there are plenty of reporting tools out there - and since X3 stores the data in a very detailed manner, these reporting tools can display your data however you want. It is an incredibly flexible software which can be configured to perform very complex transactions with a high level of automation. Error messages, when they do occur, are often quite cryptic and don't necessarily help guide you to resolution; also Sage's support for X3 is less than stellar. However, both of these issues Sage is aware of and working to remedy; it takes time with something as complex as X3, but progress is being made. Have an experienced Sage Partner help you through the implementation. Take your time planning the implementation, plan it well - test it well - train well. It is extremely complex and a large undertaking. But if your requirements are fairly complex, then it is a really good product to answer your needs. But don't rush it! Running multiple companies (some related, some not) - and currencies - from within the same accounting environment, allowing users to perform tasks seamlessly from one company/site/currency to another... Since implementing Sage X3, our accounting staff has realized a considerable improvement in efficiency in our complex accounting environment. And we are continuing to improve on this, as we gradually learn to take advantage of more and more that Sage X3 has to offer. "Sage X3 provides the bend and flex customization that other platforms miss"
Our ability to tweak our environment, almost on the fly, has allowed us to rapidly and effectively adjust our operations as our organization has grown and evolved. Sometimes the overwhelming possibilities X3 provides presents a "paralysis by analysis" situation for us. Because X3 is so versatile, it has almost bottomless options. As with all software, be prepared for the initial investment of not just the software, but a true IMPLEMENTATION! Skimping on implementation costs up front only delay growing pains later, and ultimately cost your progress and productivity. Make sure your budget it adequate for the "all in" cost of whatever ERP solution you choose. By using Sage X3, we have been able to realize rapid growth, efficient maneuverability, effective changes... overall just a progressive approach to scalability and best practice. What Mixed Mode ERP solution do you use? "Great software for manufacturing companies"
The ease for customization. The web interface is simple and clean and is being improved at each new update. After the firsts trainnings your IT team will be able to use the customizations that you need. For the users could be a little strange to migrate from a desktop app to a web browser app. Creat a really good Drawing of what you are going to implement and what ypu really need. Don´t use tools from X3 that you dont going to use. Some of the customization need to be done by 3rd party developers, training is expense and takes a long time to complete. All in one ERP system, it allows us to control budgets, projects and everything else project related in one web based system. "Sage X3, inexpensive, but you get what you pay for." Pricing was the best option, as this was software Sage purchased and put their name on. Complicated. The entire sub construct was in code and none of the modules are written out as programs. All users have to know their 6 code to understand where they are making changes. Users suffered extreme difficulty to adapt to the software vs. Excel. You get what you pay for. I do hope Sage has further rewarded this ERP with the correct means and english translation. Otherwise, the product did fail to meet requirements for the business. ERP, a cheap ERP for financial and material tracking. It worked for this purpose- however the ability for users to adapt to a friendly point/click solution was near impossible. "Flexible, easy to use ERP software"
It is very user friendly and a very innovative interface that allows for easy use. Was rather simple installation as whole process took roughly two months and the learning curve for users who would be dealing with it was also very short as most were able to pick right up on it. Very flexible as well for different data implementation. I disliked when shopping for software's for our needs it was required to get a quote for the price instead of instant pricing so it required a lot of effort just to get an idea of what it would cost for us to implement. Other than that, not too many other negatives. Would highly recommend giving it a try. You will quickly see the benefits of the system and should provide with with a very quick return on investment. Also the support group is very responsive when it comes to any questions you should have so you dont really have to fear much when going into this. The software allowed us a new solid way to manage our whole operation from production, customer service, sales and management. It really provides a solid ERP system, just is a little pricey though, but worth it I'd say. Product is user friendly once you get used to it. I used Sage software for inputting AP/AR invoices in an accounting/HR office. This was the software that was being used when I started working there. So far, I have found it to be easy to learn and helpful with what I use it for. I think that the customer service is excellent because they really take the time to explain things that you are having difficulty with. It took a little while to get used to, but once I did things ran a bit more smoothly. We use Sage mainly for AP/AR invoices and keeping track of our vendors. Running reports isn't the best. We do not use this software for solving issues. "Sage X3 has some great potential "
I like that the program is easy to navigate for the most part. We are able to have multiple instances open at once. We are currently in an older version of Sage X3 and we are only able to be in 2 instances at once, the system tends to lag out at times, we don't have the ability of a drop down to switch between the folders of different companies, we have to sign out, choose another company and sign back in. Seems like wasted time. "Sage X3 - Useful but Requires Training"
Inventory management for our product and skus. We have a ton of serials and different product codes. Maintains inventory for sales and can be modified and tailored for your usage. Once you have learned to use it you can unlock its full potential. "Sage ERP X3 is a great fit for distribution and manufacturing companies." I like the ease with which you can customise the software. For instance change the X3 web pages in v7, add fields, change menus. You don't need to hire a software developer to make those kind of changes. The productivity tools, like dashboards, visual process maps, graphical queries are great and you can add them on your landing pages very quickly. The new version 7.1 is web based and browser independent. Mobile staff can use X3 on their mobile devices like ipads, and quickly do a customer inquiry, enter a sales order, or verify a product availability in stock. The Visual Process Maps are great at actually mapping out the steps for you to follow to accomplish your daily tasks, thus increasing your productivity. There is nothing I dislike so far. There are always a way to get something done in Sage X3. The software is too flexible. It's a powerful application for distribution and manufacturing midsize companies, specially in industries like Food & Beverage, Chemical manufacturing, Mining operations, Pharmaceuticals and Hospitality. Sales and Purchase Order management, Customer Service management through CRM module, Stock and Manufacturing production. Fixed Assets tracking. Customers are able to plan their production and have better control on their stock levels, fullfilling their sales orders in a timely manner and thus increasing their customer overall satisfaction. With better stock production and planning using the MRP tools, they don't need to tie huge capital in surplus stock. "Verion 7 - Better features!" The great light interface with version7. This interface is a big shift from the previous versions with ability to perform tasks on a mobile device. Accordingly, Some of the features such as greater flexibility in integrating with Office tools. This makes it very easy for data migration and in parallel use of existing systems. Some of the essentials such as entry of back orders in Sale Order forms. Other features such as stock status check needs a little complex access rather than being seen on every line of the item during Sale Order entry. However there are a lot of alternate options that could be considered to help better than these features. Prefer version 7. Many changes involved. Some of them will include Bank Reconciliation, using of dimensions - this has helped in cutting down the long list of Chart of Accounts in a great way with fine reporting tools. Dimensions has absolutely helped the Finance and Accounting reporting easier and more detailed. The platform is very easy to use and it allows for even new users to pick up on it very quickly. It didn’t have as many features as I would have liked. It makes training very easy. I like how we can alter our crystal reports. Certain steps take too long for processing. Keeping track of our inventory. Accurate enough. 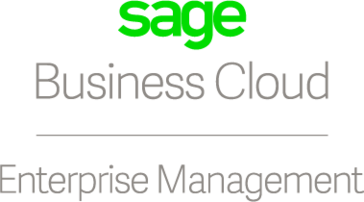 Learning about Sage Business Cloud Enterprise Management? * We monitor all Sage Business Cloud Enterprise Management reviews to prevent fraudulent reviews and keep review quality high. We do not post reviews by company employees or direct competitors. Validated reviews require the user to submit a screenshot of the product containing their user ID, in order to verify a user is an actual user of the product. Hi there! Are you looking to implement a solution like Sage?